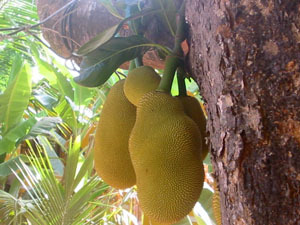 This is the jack fruit tree. 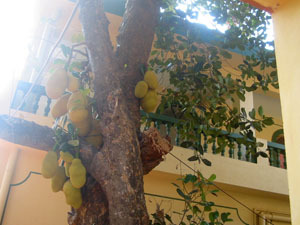 This is the jack fruit tree where you can see the fruit. 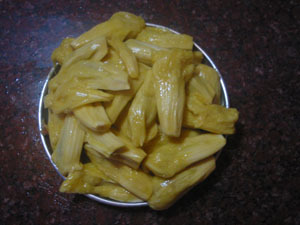 This the jack fruit after ripe and cut into pieces. This is the fruit which we can eat. 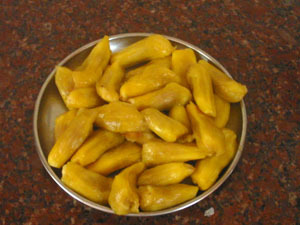 This is the fruit to eat. 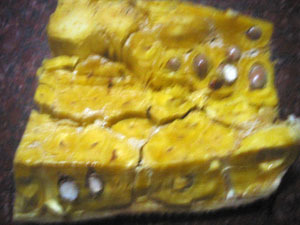 This fruit is available only in the month of April, May and June.